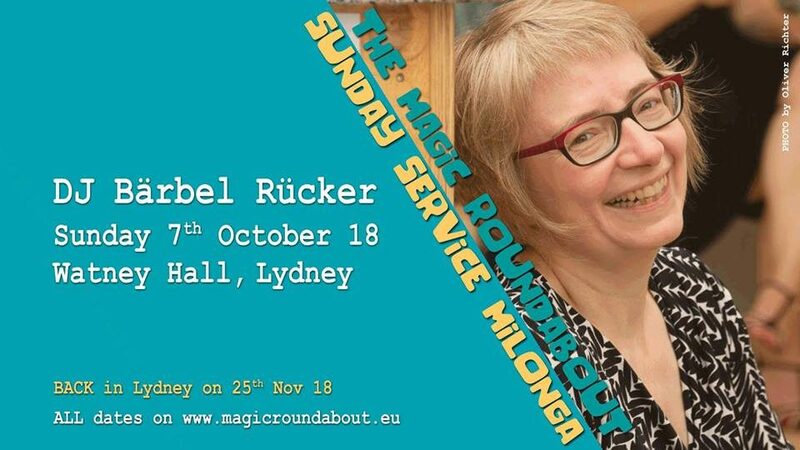 We are delighted to announce a visit from Theresa Faus at The Magic Roundabout Autumn Embraces at Kington Langley Village Hall on 28th October 2018. 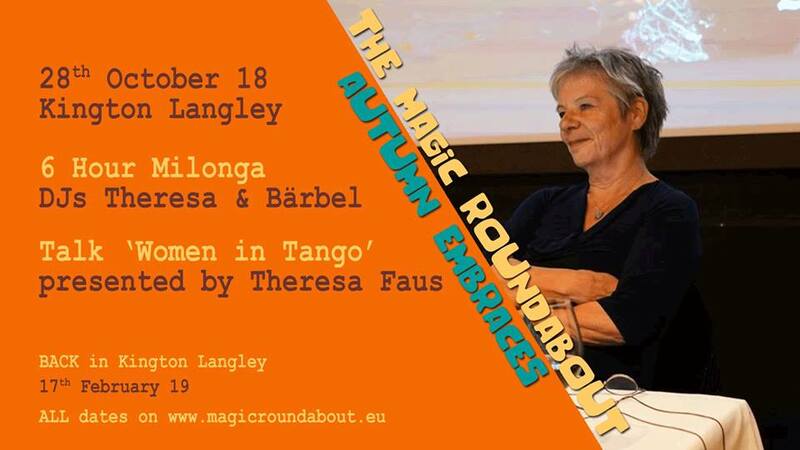 Theresa is an authority on tango music who started DJing in 2004 and has run a monthly milonga in Munich since 2005. More recently, she began to travel with her music (and also to give seminars about tango music). She has DJ’ed in milongas and special events in many parts of Germany, in the Netherlands, Belgium, Sweden, Switzerland, Austria, Slovenia, Spain, and Buenos Aires. the mother = the only woman to rely on. We will listen to beautiful pieces with these topics from various decades, and discuss, apart from the lyrics, the stylistic characteristics of the music, that make these pieces unique three-minutes artworks. 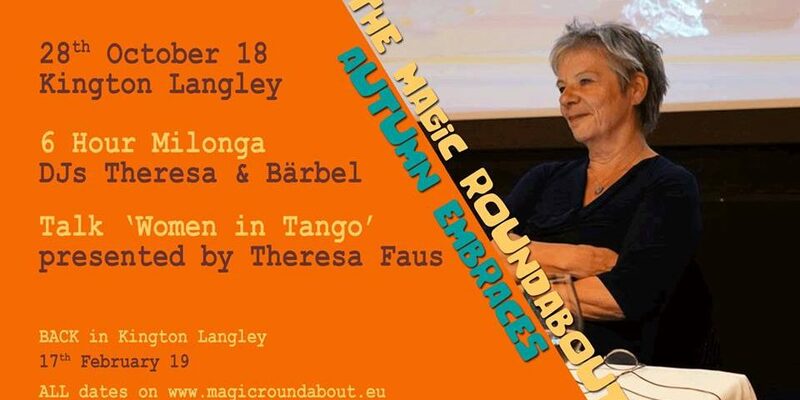 There are only 30 places available at £10 each and they can be booked in advance by emailing tango@magicroundabout.eu. Price on the day if there is availability will be £12. Come and dance to the traditional tango music of two fabulous international DJs on the wonderful floor at Kington Langley Village Hall. 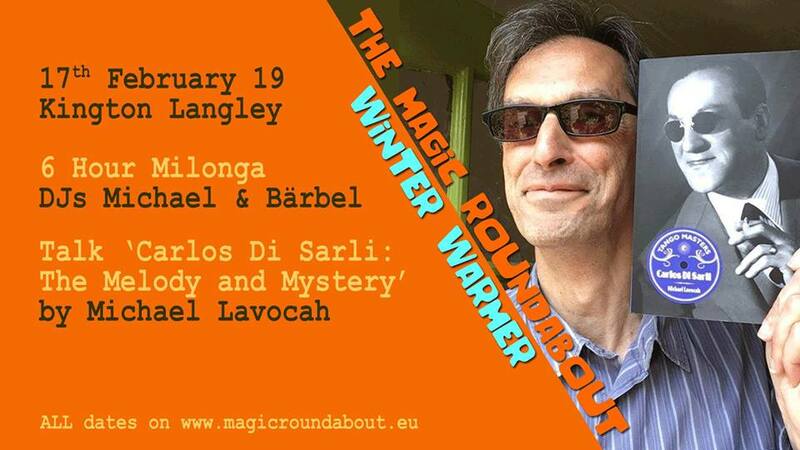 The milonga will run from 3.30pm to 9.30pm. If you haven’t been before you can expect the best quality full range sound system, cabeceo friendly lighting, free parking, free soup and jacket potatoes, free coffee, tea and snacks. The Magic Roundabout Tango Marketplace will be there too, giving you a chance to sell your preloved tango clothes and shoes. No need to book, just pay on the door. Price £15. Please join and share the facebook event here. 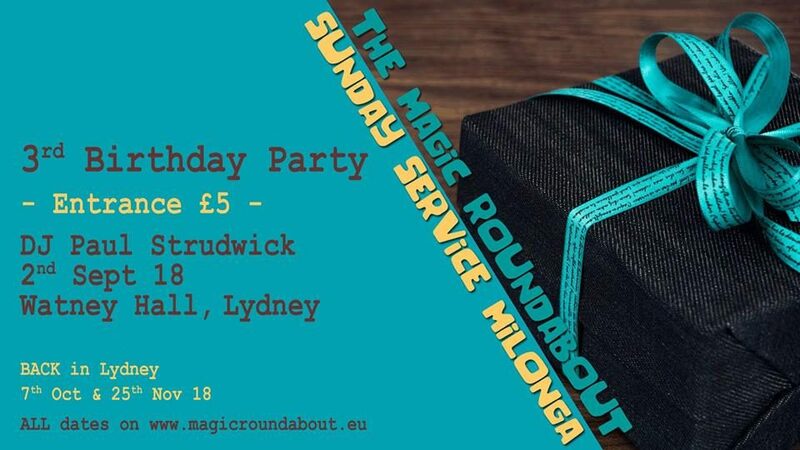 The Sunday Service 3rd Birthday Party.